Are Power Bars Good for You? PowerBars are high-calorie sports supplements to eat before, during or after workouts. They can be good for you if you use them properly to support your training and competition, and they can help control your weight or improve your nutrient intake. PowerBars work best as part of an overall balanced diet. 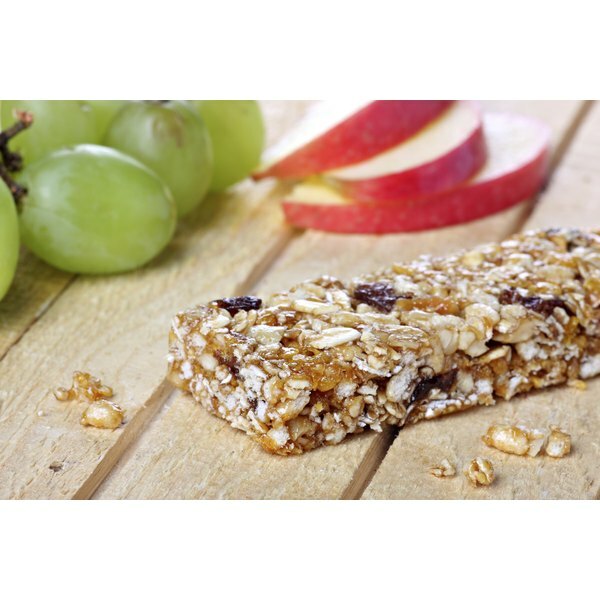 PowerBars can help if you need to gain weight, because they are dense sources of calories. PowerBar Performance bars have about 230 calories each, and PowerBar ProteinPlus bars have 300 calories. Add them to your regular meals or as extra snacks to increase your overall calorie intake and gain weight. PowerBars can also help you lose weight if you use them as replacements for higher-calorie meals or snacks. You need to eat an add 3,500 calories to your diet to gain 1 lb. of weight, or cut out 3,500 calories to lose 1 lb. The higher-carbohydrate varieties of PowerBars, such as PowerBar Performance with 45 g of carbohydrates, can help you maintain energy during a competition that lasts more than 90 minutes because carbohydrates provide quick energy, according to Iowa State University. The bars also contain 180 mg sodium, which can help balance the electrolytes you lose through sweating. Drink at least 7 to 10 oz. of water each 15 minutes throughout your competition to prevent dehydration, and drink water when you consume your bar to reduce the risk of cramping. If you can't eat a regular meal before a workout, PowerBars are a convenient way to prevent hunger during your exercise because they are portable and easy to store. To speed up muscle recovery and glycogen replenishment after a workout, you should get at least 100 to 200 g carbohydrates and 25 to 50 g protein within two hours, according to Iowa State University. PowerBar Recovery has 30 g carbohydrates and 12 g protein. All the varieties of PowerBar caontain protein and other essential nutrients to help you meet your needs. PowerBar Performance has 70 percent of the daily value for vitamin C and 25 percent of the daily value for calcium and iron. PowerBar ProteinPlus has 100 percent of the daily value for vitamins B-6, C and E, and folate, thiamine, riboflavin, niacin and pantothenic acid, and 45 percent of the daily value for calcium and iron. The lower-sugar PowerBar ProteinPlus is high in calcium, iron and many vitamins. Do Vitamins & Minerals Provide Energy?